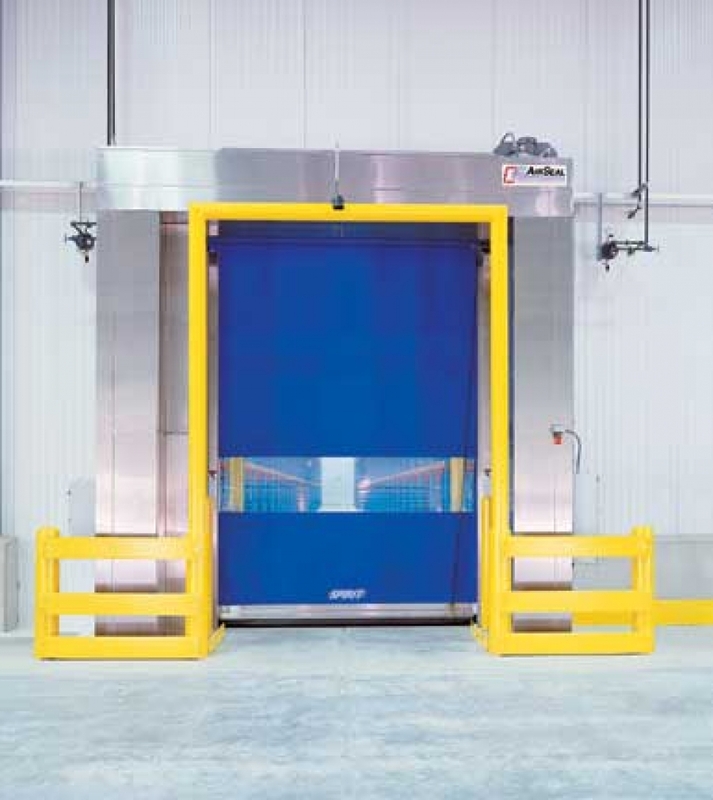 Single Horizontal Recirculatory Air/Cooler/Freezer Door with Fabric Roll-Up Door | Dock Door Systems Inc.
AirSeal doors from Enviro auto-adjust to temperature and humidity changes to maximize your energy efficiency and minimize your refrigeration loss. 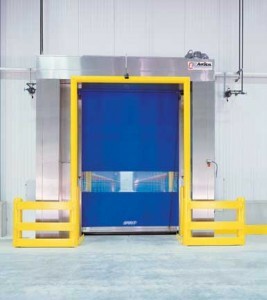 Integral high-speed fabric roll-up door provides high seal efficiency. Two modes of operation:Air shield onlyCombination air-fabric controlImpactable breakaway fabric roll-up door design eliminates costly down time and repair. AirSeal:4,600 cfm at 4” of water gauge. Fabric door - barrel & operator shroud. Vision panel - 28" high across full width of panel. AirSeal:High efficiency low noise multi-belt driven operator with minimum 5 h.p. motor. Fabric Door:In-line, high efficiency 3/4 h.p. electrical motor.